In an inspiring speech, Missy Elliott opened up about living with Graves' disease and how she believes she overcame the autoimmune disease. The rapper and producer, who was honored at Essence magazine's 9th annual Black Women in Music event, held Thursday night in New York City's Highline Ballroom and sponsored by The Lincoln Motor Company, said she credits her faith. "I was sick and I couldn't even lift a pen," she told the audience during her acceptance speech. "My nervous system had broken all the way down. I didn't come up in here in a wheelchair. Nobody helped me get up here. I'm walking...by the grace of God." 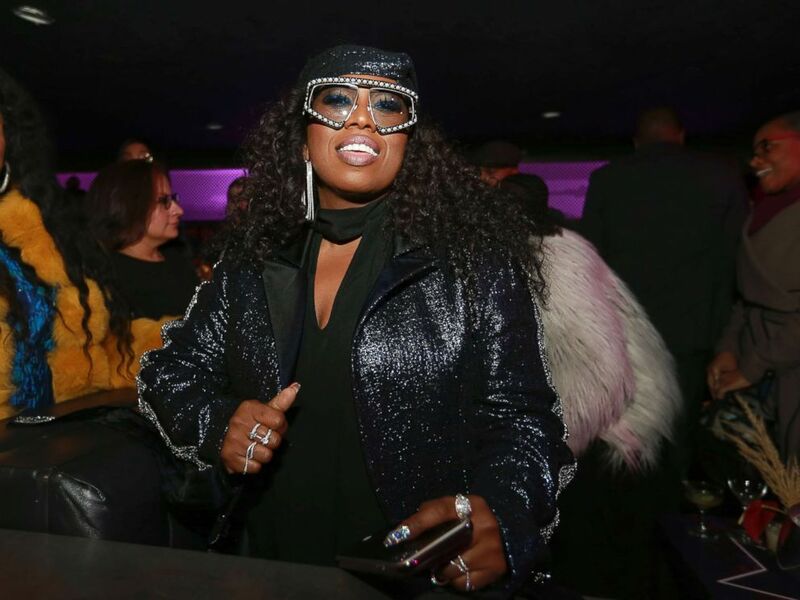 Singer Missy Elliott attends the ninth annual Essence Black Women in Music event at the Highline Ballroom, Jan. 25, 2018, in New York. Elliott, 46, first revealed she was diagnosed with Graves' disease in 2011. She told ABC News in a statement that year that she was diagnosed with the autoimmune disease that affects the thyroid back in 2008. "I was on medication for a short while but have been off it for quite some time now," she continued in the statement. "I manage the condition through diet and exercise." Elliott on Thursday also opened up about her friendship with Janet Jackson. The R&B singer surprised Elliott and audience members alike by presenting Elliott with the Visionary Award. "Creativity is a beautiful thing," Jackson, 51, said onstage. "And when creativity flows so freely from a musical genius, all we can do is express gratitude. I am so grateful for Missy's beautiful soul." “I am so grateful for Missy’s beautiful soul.” -@JanetJackson’s beautiful speech at #BlackWomenInMusic gave us all the feels. ?? "That was a surprise," Elliott said. "I've known Janet [for] over a decade and this is not just someone that I do music with. I can call Janet at any time of the night...and she will listen." The rapper, who noted Jackson calls her "Jack" as a pet name, continued, "The times that I may have felt like giving up, she's always gave me an encouraging word and I've watched her as a strong, black, powerful woman who's had to overcome many obstacles. And so I just wanted to say I appreciate you for inspiring me."